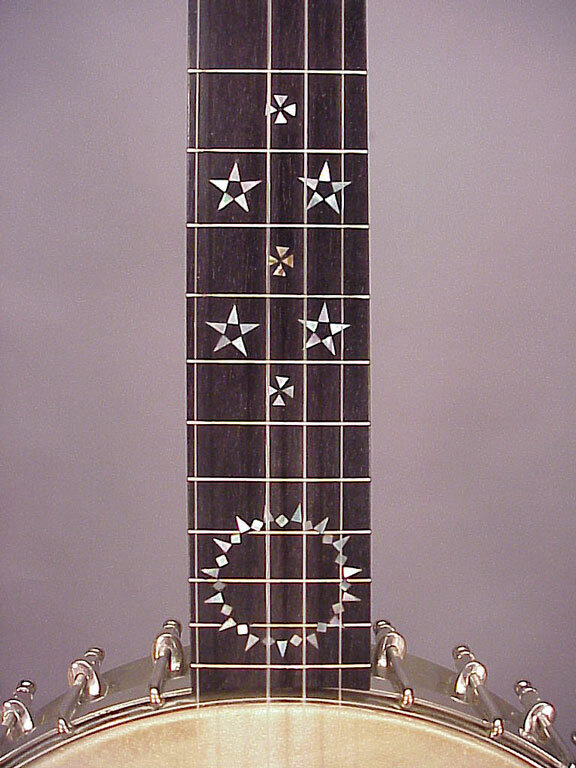 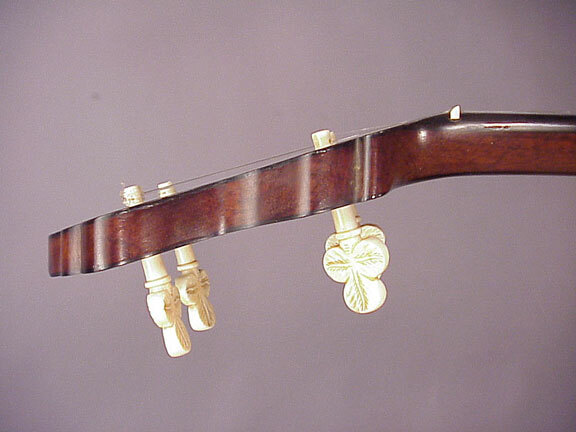 Fairbanks banjos are among the most desirable five string banjos in the world. 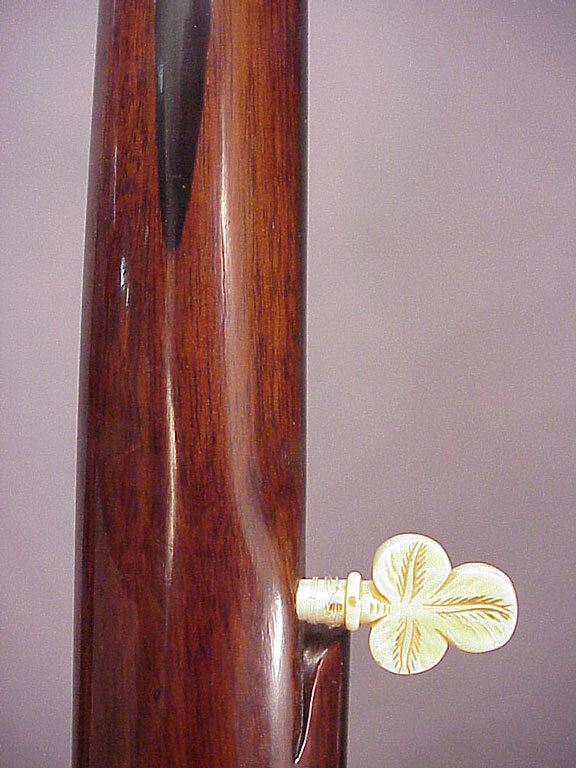 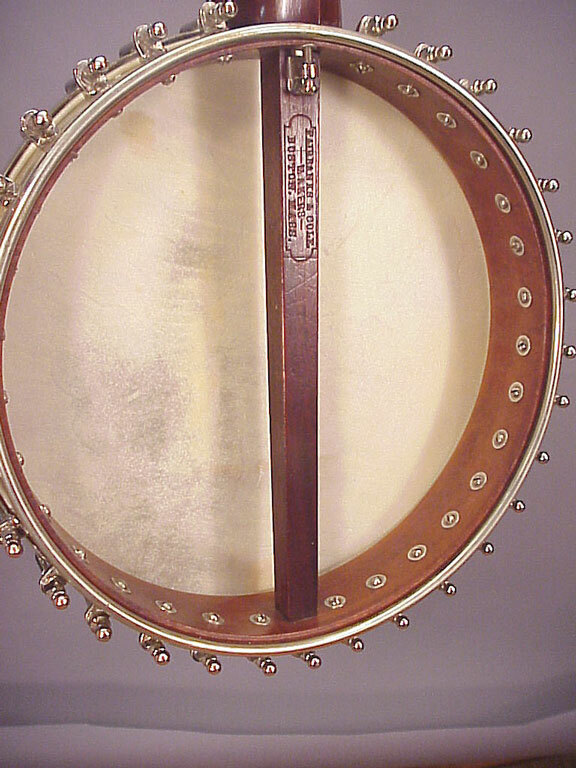 In fact, the two most popular models of open back five strings are the Whyte Laydie and Tubaphone, both of which were designed and produced by The A. C. Fairbanks Company of Boston, Mass. 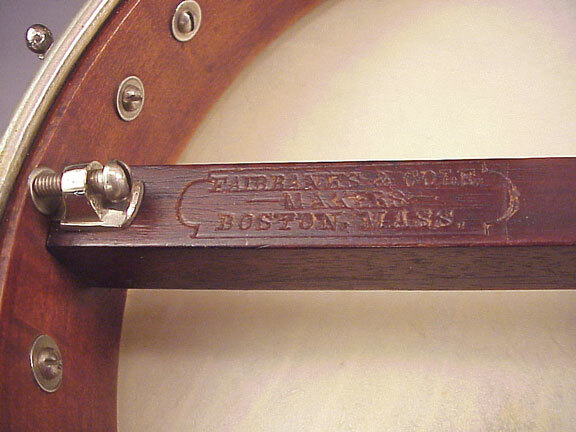 The partnership of Fairbanks and Cole preceded those instruments, and produced some very fine banjos near the end of the Nineteenth Century. 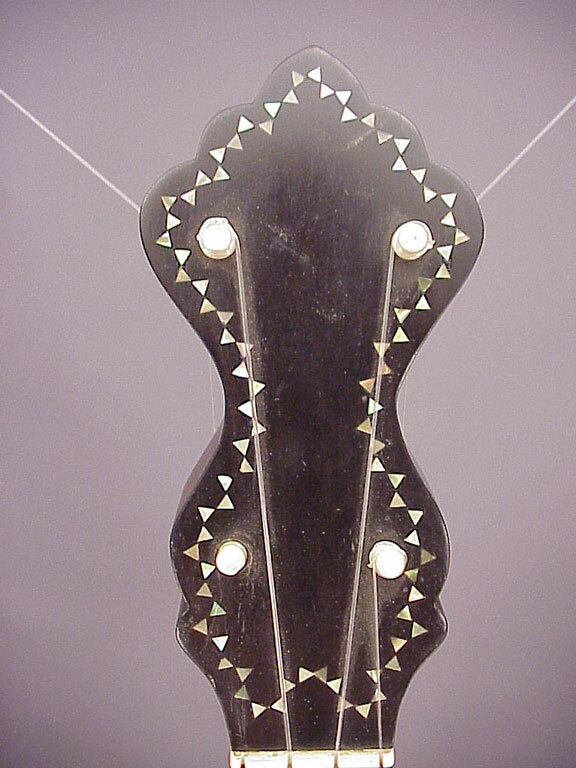 Here's an example which displays a rather uncommon style of decoration, utilizing a whole lot of teeny pearl triangles. 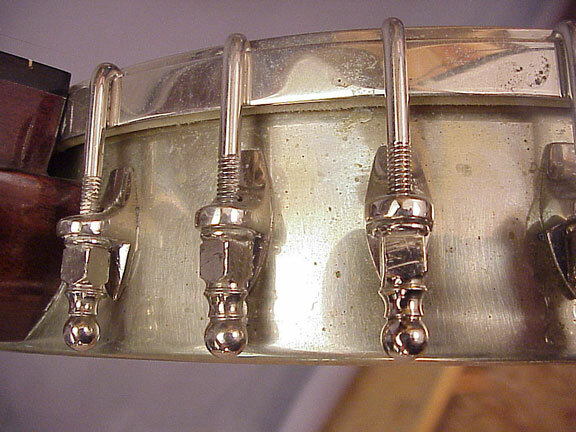 This banjo is 100% original including the carved bone pegs and tailpiece. 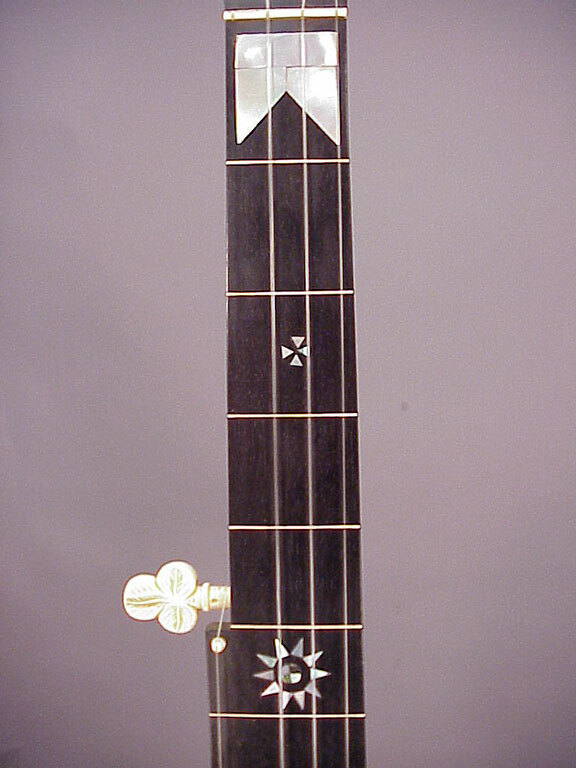 It's fretless, with flush inlaid fret positions. 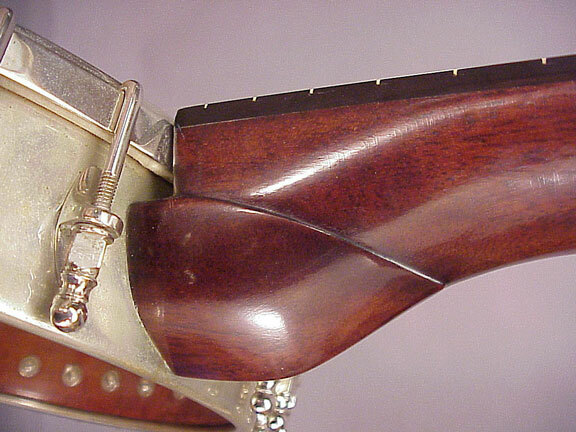 I'm particularly impressed by the modeling of the heel.